Christine Via is a board certified Family Nurse Practitioner and received her Post-Master’s Degree from The Sage Colleges in 2011. 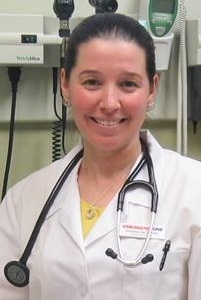 She joined the team at Emergency One in 2012 and has been practicing in urgent care and primary care settings since. She holds a Master’s Degree in Nursing Education and taught nursing students in the clinical setting for Mount Saint Mary College in Newburgh, NY. Prior to becoming a Nurse Practitioner and Nurse Educator, she worked as a Registered Nurse at Benedictine Hospital in Kingston, NY.